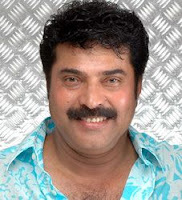 Malayalam superstar Mammootty, who is busy shooting for Maya Bazaar here, says he has so much work that he can't think of taking a break during this festive season. "Yes, I am on the Ramadan fast, but I just cannot afford to sit idle on this pretext. Even tomorrow (Friday), which is Thiruvonam day, the most important day for all Keralites, I am busy shooting," said Mammootty. The shooting of the film is taking place in his hometown, so Mammootty, who turned 55 Sunday, is able to spend time with his family. Every year both the Malayalam superstars - Mammootty and Mohanlal - have at least one release during Onam, but this year neither of them had any new film during the festive season. "See, I had a release, but work on Pazhassi Raja is not complete," he said. This year, the Malayalam box office reports are not so satisfactory. Of 38 films that were released, only three movies are doing good business - Mammootty's Annal Thumpi, Mohanlal's Madhampi and Jayaram's Veruthe Oru Bharya.